Cookies are amazing any time of the year, but fresh baked cookies at Christmas time takes amazing to an all new level. If you are looking for great cookie recipes to bake up for a party or searching for a great gift idea we think you’ll love these recipes we have collected from around the web. Some of the recipes even accommodate special dietary needs (vegan & gluten free). Cranberry Hootycreeks – Recipe from All Recipes. 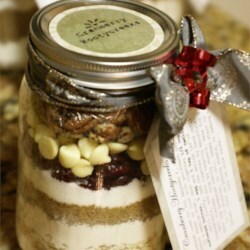 These cookies look great in the jar and taste delightful. You could even change out the cranberries, chocolate chips, and nuts to suit your personal tastes. Dried currants, walnuts, & white chocolate chips could be a lovely combination! This recipe would make a great gift for a neighbor, coworker, or as a hostess/host gift if you are visiting family or friends over the holidays. Julia’s Best Chocolate Chip Cookies – Recipe from All Recipes. Chocolate chip cookies rank at the top of most people’s favorite cookie lists. Simple, chocolatey goodness. This recipe is very delicious and again provides opportunity for experimentation (different kinds of chocolate chips, or swapping chocolate chips for M&M’s etc..). If you aren’t sure what cookies your friend would want, chocolate chip is a safe bet. 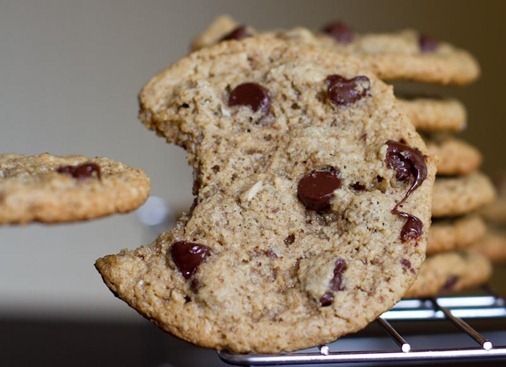 This recipe promises thin, crisp, and chewy chocolate chip cookies that even those on the most restricted diets can enjoy. But don’t get us wrong, these cookies aren’t really a compromise. They are kind of amazing. Angela’s recipe uses a mix of almond & oat flour to create this crowd pleasing cookie. Scroll to the bottom of her post to see the recipe! These gingerbread men are tasty and adorable. 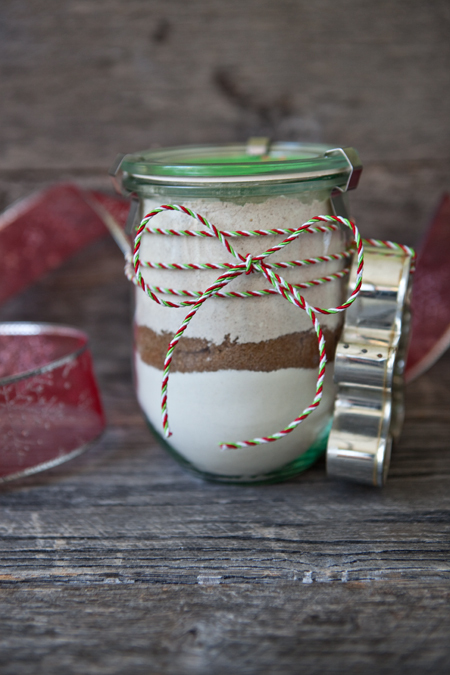 We love the idea of attaching cookie cutters to the jar to really complete the gift! We love this recipe for a holiday staple! Shaina even included free printables—holiday gifting can’t get much easier! Have you ever given cookies in a jar before? What are your favorite recipes?